Since this page was produced, Cumbria's Museum of Military Life has relocated to new and larger premises within Carlisle Castle, and undergone a slight name change. For the moment the rest of this page remains as written prior to the move. It will be updated when we have revisited. 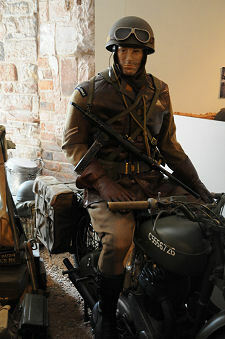 Cumbria's Military Museum is located within the inner ward of Carlisle Castle. 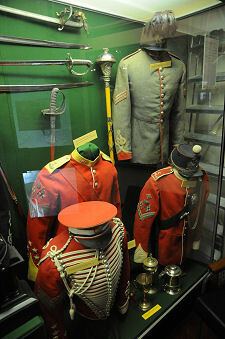 The museum is home to a wide range of fascinating objects and displays reflecting the history of the Border Regiment and the King's Own Royal Border Regiment. Access to the museum is freely available to visitors to Carlisle Castle when the latter is open. For details of opening times and admission charges when the rest of the castle is closed, see the Visitor Information section on this page. The museum was established in 1932 in part of the keep of Carlisle Castle. At that time its role was as much to educate new recruits to the Border Regiment, whose predecessor units had used the castle as their Regimental Training Depot since 1873, as it was to inform the wider public. In 1973 it moved to its current location in a building originally erected in the 1500s and has formed an integral and important part of any visit to Carlisle Castle ever since. It is worth noting that during winter months the museum is often open when the rest of the castle is not. But while the museum's collections have continued to grow over the decades since, the accommodation it occupies has not. One result is the fairly tight packing of many of the exhibits on show. Another is that many more objects simply cannot be placed on display, and items such as an armoured car have to be stored in less than ideal conditions elsewhere in the castle's inner ward. One thing first time visitors are apt to find a little confusing is the correct name of the museum. 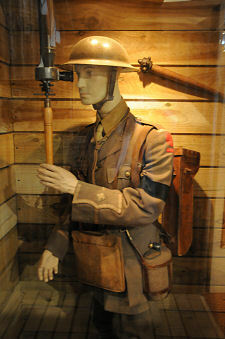 This has changed over the years to reflect the reoganisation of army regiments, and the change to "Cumbria's Military Museum" is clearly designed to ensure that the heritage of "Cumbria's County Infantry Regiment from 1702 to the present day" will be safeguarded into the future whatever the actual current title given to the regiment. As background it is perhaps helpful for visitors to know that "The Border Regiment" was an infantry regiment of the British Army formed in 1881 by the amalgamation of the 34th (Cumberland) Regiment of Foot and the 55th (Westmorland) Regiment of Foot. The first of these predecessor regiments was itself formed in 1702, while the second came into being in Stirling in 1755. Between them they served in many parts of the world including America, Cuba, Europe, India, China and Crimea before coming together to form The Border Regiment. The 34th formed part of the government army at the Battle of Culloden in 1746: where the scale of the defeat of the Jacobites is reflected in the Regiment's loss of just three men killed on the day. The Border Regiment went on to serve in South Africa during the Boer War; in France, Flanders and Gallipoli during World War One; and in Europe, North Africa and Burma during World War Two. In 1959 The Border Regiment was amalgamated with the The King's Own Royal Regiment (Lancaster) to form the King's Own Royal Border Regiment. This new regiment subsequently served extensively in Northern Ireland as well as in Bosnia and Iraq. On 1 July 2006 the King's Own Royal Border Regiment became the 3rd Battalion of the Duke of Lancaster's Regiment (King's Lancashire and Border) following a further round of amalgamation, this time with the King's Regiment and the Queen's Lancashire Regiment. 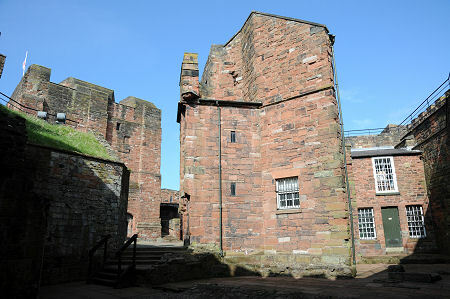 The entrance to the museum is found between the two main buildings looking across Carlisle Castle's inner ward to the keep. The tour starts on the upper floor which is home to a series of displays of objects reflecting the hugely diverse story of the regiments described above. Many different styles and hues of uniform can be found, though red and khaki predominate. One window ledge is home to a Vickers Medium Machine Gun of World War One vintage alongside the - at first sight rather similar in appearance - launcher for a MILAN Anti Tank Guided Missile which came into service in the 1970s. Sometimes it's the small objects which exercise the greatest fascination. One display is home to fourteen identical medals. All are Indian Mutiny Medals awarded to members of the predecessor regiments for their service in India during the mutiny of 1857-9. What makes them so interesting are the accompanying cards, each giving a potted service history of the individual who was awarded each medal. Another display is of the seven medals awarded to Sergeant William Coffey. These include the Victoria Cross, the Distinguished Conduct Medal and the French Medaille Militaire he received for his service in Crimea; plus an Indian Mutiny Medal. 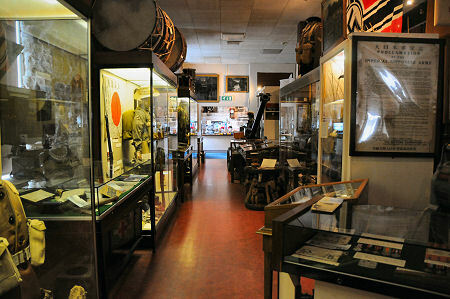 The lower floor of the museum is made up of a series of themed displays. You enter through a World War One trench system complete with an infantryman rather bravely putting his head, literally, above the parapet, and an officer in a dugout taking a rather more measured approach using a periscope. Elsewhere a World War Two mortar team are located close to a motorcycle dispatch rider of the same vintage. 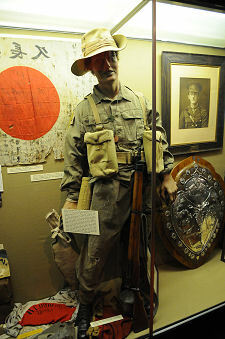 The regiment's service in Burma is reflected in a model wearing the jungle uniform of Private Vernon Cook; along with a collection of captured Japanese flags. The museum also serves to remind visitors that war is not just something that happened in history, but has also been a reality in recent times, as it is today: and there are reminders here of some of the more recent conflicts in which members of the regiment have served. Carlisle Castle, Carlisle, CA3 8UR.